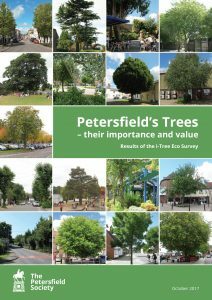 Yesterday, over 100 people attended the launch of a report ‘Petersfield’s Trees – their importance and value. Results of the i-Tree Eco survey’. 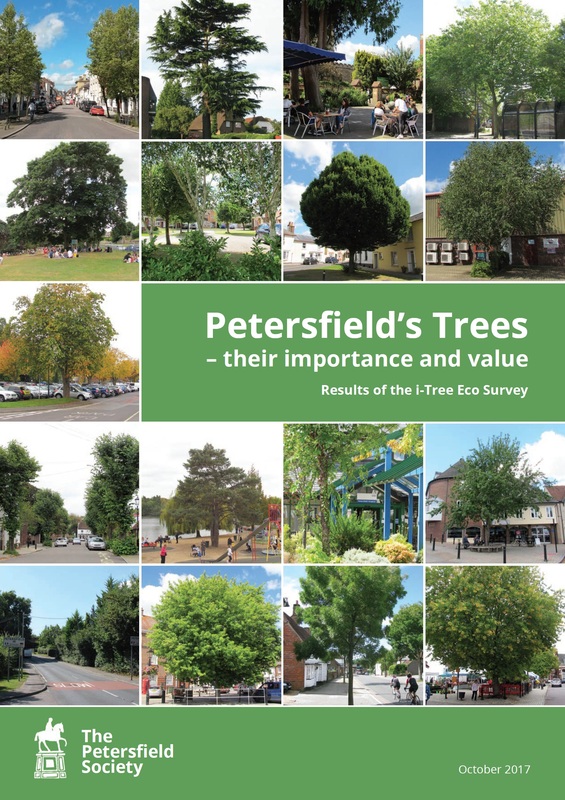 The report is the result of a project to characterise and value Petersfield’s trees, as reported in News in March 2016 (http://www.ajmoffat.co.uk/an-i-tree-survey-for-petersfield/). The survey was undertaken by 43 volunteers, who after appropriate training, surveyed over 200 plots across the parish. The report describes the tree species identified, tree size and condition, and then evaluates a number of important ecosystem goods and services that they provide to the community. i-tree and CAVAT methodologies allow monetary valuation of storm water attenuation, carbon sequestration, air pollution absorption and amenity value. The report discusses these in the context of town development, climate change and the threat of tree pests and diseases. It can be downloaded HERE. Following publication of the report, future activities will focus on continuing and developing community engagement with Petersfield’s green infrastructure and the construction of a Tree Strategy for the town.